I put the finish on my first hollow-turned bowl last night. I made it out of a piece of still “green” black walnut from my in-laws tree pruning, so it needed a couple of weeks to dry after turning. I had actually done the turning a couple of weeks ago, but couldn’t finish it till now. I used standard turning tools, and they limited my reach inside the bowl a bit, but for a first effort it turned out OK. A couple of drying cracks formed near the rim from my microwave drying. I got a bit impatient. Posted on June 29, 2005, in Woodturning. Bookmark the permalink. 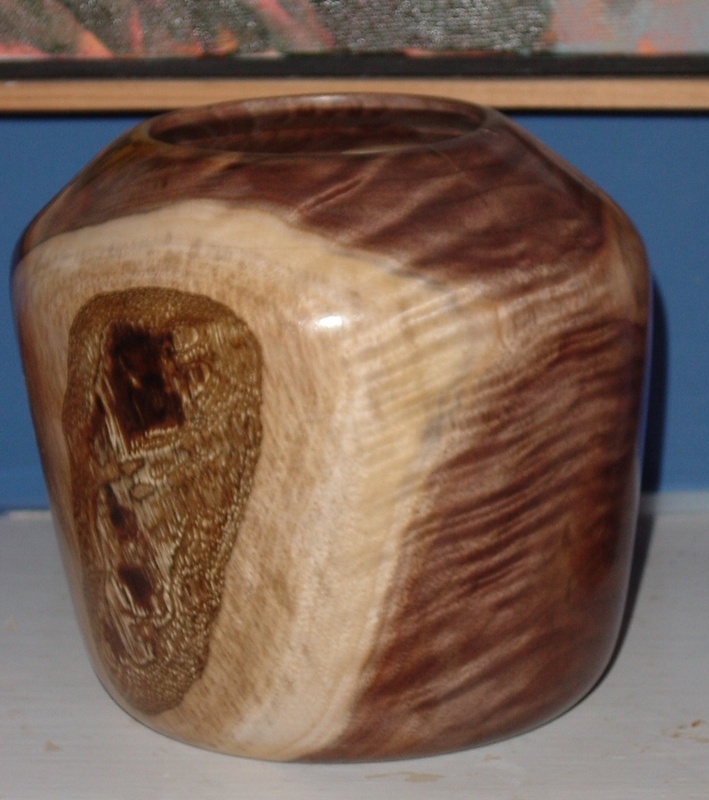 Comments Off on First “Hollow-Turned” Bowl.